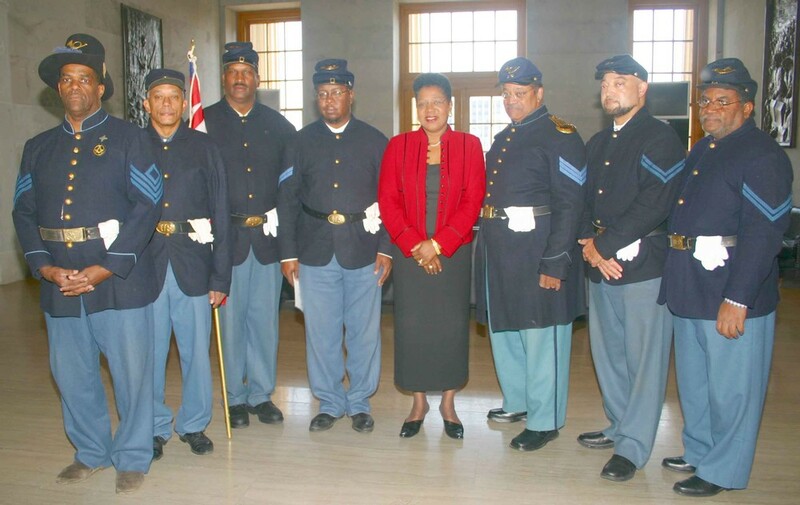 This was truly a historical event in Tennessee for the 13th USCT. 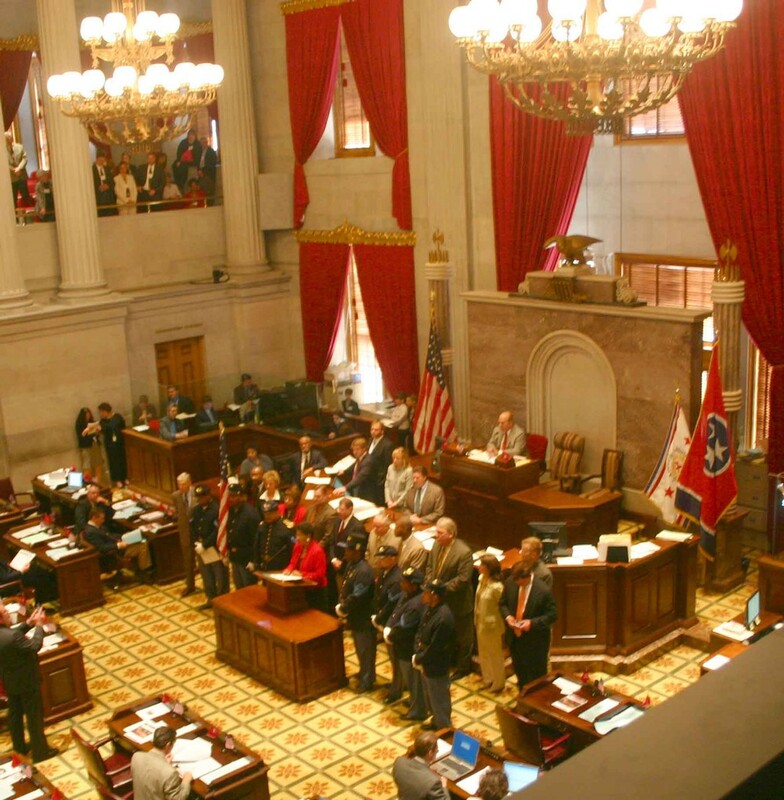 This is the first time the United States Colored Troops have been formally recognized by the Tennessee State legislative body. 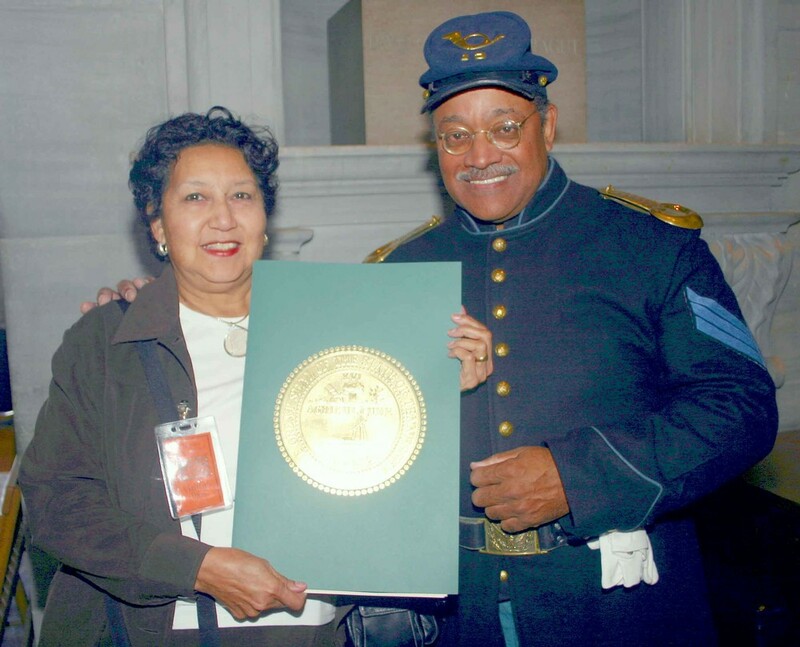 The 13th USCT was recognized for its contributions to the citizens of Tennessee by preserving the rich heritage of its citizens of color. The proclamation noted the many education programs and living history demonstrations conducted by the 13th. 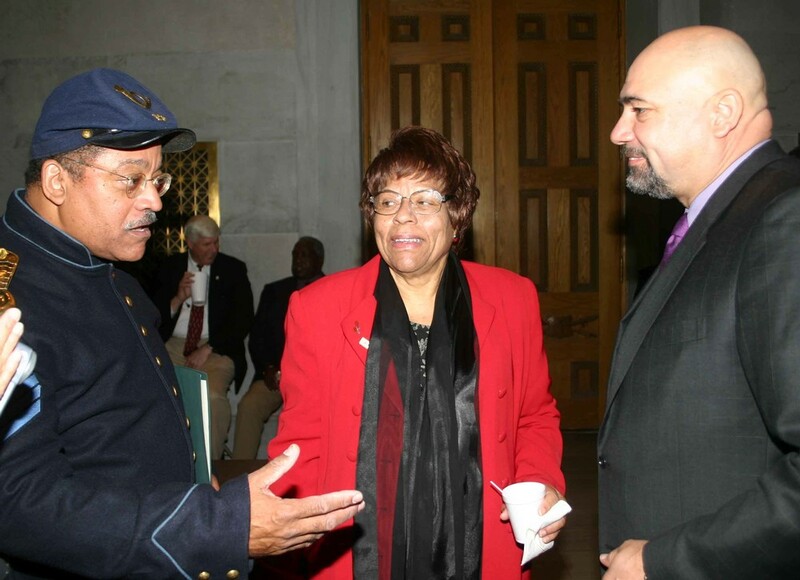 It was also acknowledged that the Congressional Veterans' Brain Trust had honored the 13th last year in Washington, D.C.
Norman Hill, Gary Burke, Williams Radcliffe, Houston Overton, Curtis Gaines, Anne Holt - News Anchor WKRN-2TV, Jimmy Smith, George Smith, McKinley Tuckson, Kevin Greene, and Charles Nichols. 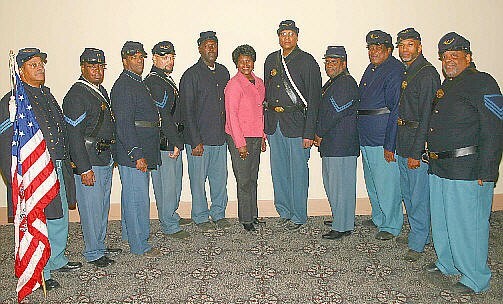 Tennessee House of Representative Linda Gilmore with members of the 13th USCT. Rep. Linda Gilmore was the prime sponsor who pushed for the recoginition and proclamation from the Governor. 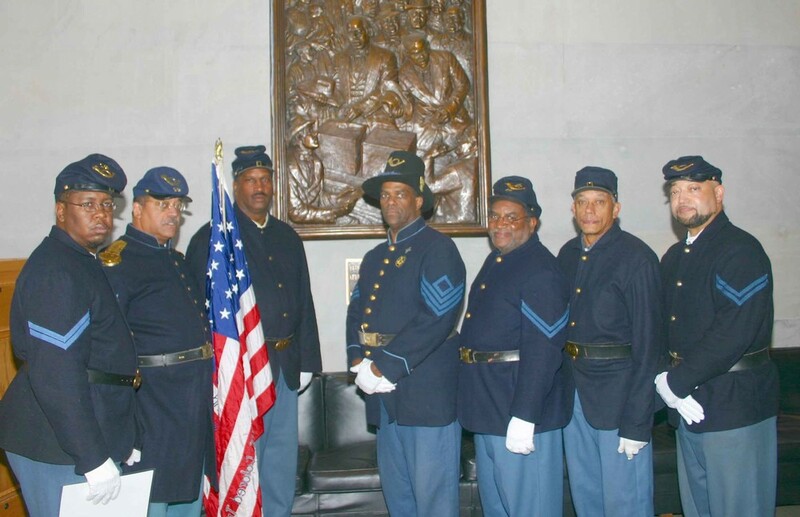 Seven members of the 13th USCT in the lobby of the Tennessee State Capitol. Members on the floor of the House of Representatives in the State Capitol receiving formal recognition from all its members. Norm Hill with two other members of the House of Representatives. Norm Hill with his wife Helen admiring the proclamation.